In the next 25 years, Niagara is expected to grow, bringing a possible 168,000 new residents and 79,000 new jobs to the region. Niagara Region is making sure we’re prepared for this growth through three projects that will help us plan where and how that growth will occur, and how it will be accommodated. The Municipal Comprehensive Review will look at the land we have available across Niagara, and will ensure we have enough to sustain our expected growth to the year 2041. 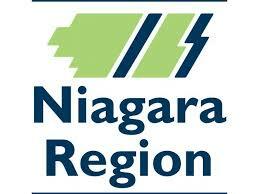 It will also examine how that land is distributed throughout Niagara. Learn more. The Water and Wastewater Master Servicing Plan will ensure Niagara has the infrastructure to provide critical water and wastewater services to our growing region in a sustainable and financially responsible way. Learn more. The Transportation Master Plan will look at how we currently travel in and around Niagara and how we can improve our transportation systems, including option for walking, cycling and public transit, to better serve Niagara’s future needs. Learn more. Fort Erie Residents are invited to attend a Public Information Centre to learn how each of these projects contribute to Niagara’s overall growth plan for the next 25 years, and how you can have you voice heard.